As the fight for search engine supremacy becomes ever more competitive, the pressure to find the perfect SEO consultant has skyrocketed to unprecedented levels. Most of us can longer just look up some do-it-yourself SEO tips online and get away with trying to execute on our own. Now, you’re essentially required to invest in professional assistance. 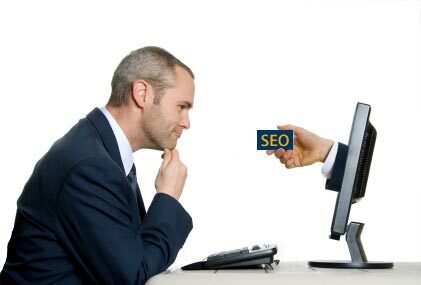 If you know little or nothing about SEO, the mission to pick an individual or firm to help you out may be intimidating. What do you look for, and how do you separate the good from the bad? Almost everyone is going to claim they can land you on the first page of a Google search. Making an educated decision about whom to interview and ultimately choose requires substantial preparation. You have to have a fairly clear notion of what you’re looking for (and what you need to avoid). If you establish acceptable parameters ahead of time, you can focus on what type of people you work with best, and what value proposition each candidate has to offer. Experience. An SEO company’s experience level will tell you a lot. You have to look at how many years it’s been in business and the types of clients the company has worked with. Google algorithms change all the time, so you need to find someone who has the ability to adapt to those kinds of shifts without hesitation. Approach. It’s useful to understand there are multiple approaches to SEO. Granted, it’s not an exact science, and each individual or firm will have its own methods. But just because a particular method is unique, that doesn’t mean it will also be effective. If the SEO company you’re looking at happens to be the only one employing a particular technique, the tactics may be questionable, frowned upon, or illegal. Always verify the company’s approach and make sure it observes white-hat tactics. Proposals. When an SEO company is angling for your services, it will furnish a proposal. Make sure you understand what information needs to be included, and what a particular proposal is claiming. At a bare minimum, confirm that your SEO proposals include link-building strategies, social-media optimization, content-marketing strategies, and adequate tracking and reporting methods. Cost. SEO costs will vary dramatically from one company to another. In fact, fixed fees may range from a few hundred dollars a month to more than $5,000. Shop around for quotes and compare prices. And remember: Sometimes it’s like comparing apples and oranges. Every SEO specialist has different methods and skill levels that will dictate its price. Payment method. How and when will you pay your SEO firm? If you can find a way to add your SEO expenses into your current payroll system, that’s probably going to be the best way to proceed. The more streamlined the process, the better! Specialization. Depending on the industry you work in, you may want a specialized SEO agency that has substantial experience in your sector. Because SEO is such a massive industry, there are plenty of SEO firms that stick to niches. Finding a niche provider can be very promising. Case studies. Asking for case studies is a great way to get a feel for whether an SEO consultant follows up promises with solid results. A skilled SEO firm will have no problem providing you with referrals and case studies to clarify your decision. When you’re hunting for an SEO partner, it’s perfectly all right to take your time. Choosing the wrong one can have serious long-term effects, after all. On the other hand, choosing the right one can take your company from all-but-invisible to a number-one page rank. Consider the above tips and tricks when you search for your SEO expert, and focus on making an educated decision only after you’ve compiled all the facts and information you need.